Transferred from the Department of Facilities Planning in May 1992 (accession number 1992:26). The records are organized in four series: Bibliography (1913-1986), Research Files (1959-1983), Minutes (1962-1982), Index Cards (1962-ca. 1987). The Bibliography series is divided into five subseries: University of Pennsylvania Campus Planning and Development, University of Pennsylvania Planning Reports, Consultant or Associated Studies, University Planning Office: Project Program Reports; Memoranda, Notes, Minutes. All the series, except for the Bibliography, are arranged alphabetically by topic and then chronologically. The subseries of the Bibliography series are arranged chronologically. 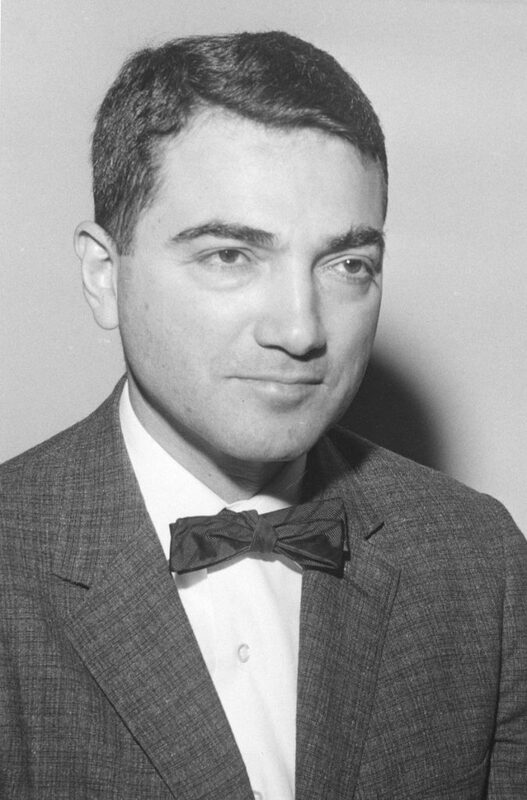 Harold Taubin (1920-1991) was the first person at the University of Pennsylvania to hold the position which is today known as the University Architect. In December 1959, he was appointed by President Gaylord P. Harnwell as the director the new University Planning Office. Taubin, who had a masters in regional planning and public administration from Harvard University, came to Penn after serving as the executive director of the Chatham County-Savannah, Georgia, Metropolitan Planning Commission and chairman of the Maryland Conference on Community Development. In his new position at the University, Taubin was responsible for coordinating the planning of the physical development of the campus as well as act as a liaison with numerous outside agencies during the largest period of physical growth for the University. Taubin held this position until 1966 when the University Planning Office was reorganized as the Office of Programming and Design. From 1966 to his retirement in 1986, he worked as a senior analyst for the University’s planning offices. Though multiple sclerosis had confined him to a wheelchair in his later years, he was active in planning and design issues, particularly those that affected the disable. In retirement, Harold Taubin worked on documenting the story of the University of Pennsylvania’s growth in the twentieth century. He compiled documentation of the various planning studies done for the University with the intention of writing a history of university planning. The collection documents the planning process for the physical expansion of the University of Pennsylvania campus in West Philadelphia during the second half of the twentieth century. Various aspects of the university planning process are found in the numerous reports and articles issued by or about the University Planning Office primarily during the 1950s and 1960s. Detailed administrative information and decision making documentation is found in the original official set of minutes of Executive Planning Committee on Physical Plant (1962-1969) and the University Council Committee on Planning and Development (1965-1972). The collection also contains Taubin’s drafts and notes for the history of planning in addition to transcripts and tapes of interviews of key individuals involved in this process. A detailed bibliography of the planning studies, prepared by Duane A. Schrepp accompanies this finding aid. The original records of the Office of the University Architect, formerly known as the University Planning Office, can be found in the remainder of the University Archives and Records Center record group UPJ 9.4. A2. The University of Pennsylvania Story: How an Institution Determines its Development Aims and Needs–In Terms of Urban Renewal as a Tool for Implementation. A3. Campus Planning. Richard P. Dober. 1963. D21. A Profile and Housing Goal Based Upon the Graduate and Professional Student Personal Data Survey, 1965-1966.